Before Super Smash Bros. Ultimate released, director Masahiro Sakurai talked a little bit about the spirit board, a bounty board for spirits that you could fight and then play a minigame to free. He advised checking back every so often as the spirit board refilled, but a notice in the game seems to better explain why: themed events happen sometimes. The first theme is focusing on spirits wearing glasses of all kinds, including goggles and sunglasses. The way it is broken down still relies somewhat on random changes. 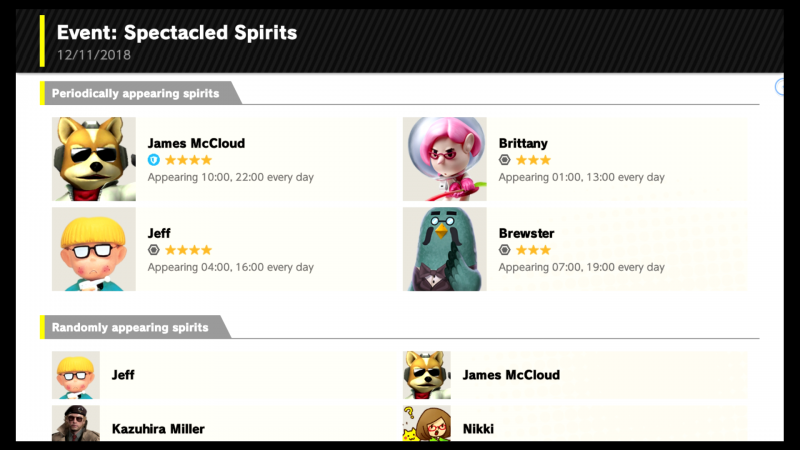 Four spirits (James McCloud, Brittany, Jeff, and Brewster) appear at scheduled times. Other spirits, which I’ve listed below, will appear randomly and include the scheduled ones. Most of these are available in the World of Light, but having extras lets you disassemble them for cores to feed to your spirits there. It’s an interesting idea to have themed content, but the scheduling is kind of odd. I wonder if at some point they will start doing exclusive spirits, or giving rewards to people who unlock them all in a given theme. 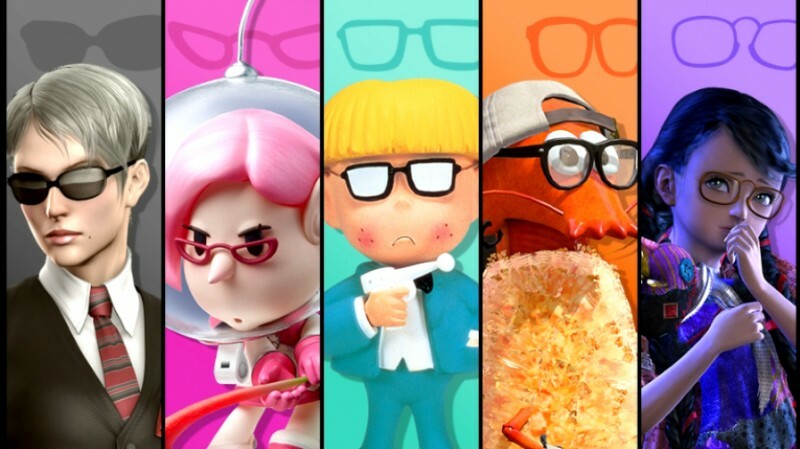 The glasses spirit event begins tomorrow on December 13 through December 16. You can read our review of Super Smash Bros. Ultimate right here.